Neversink III - Sorry, Sold Out! 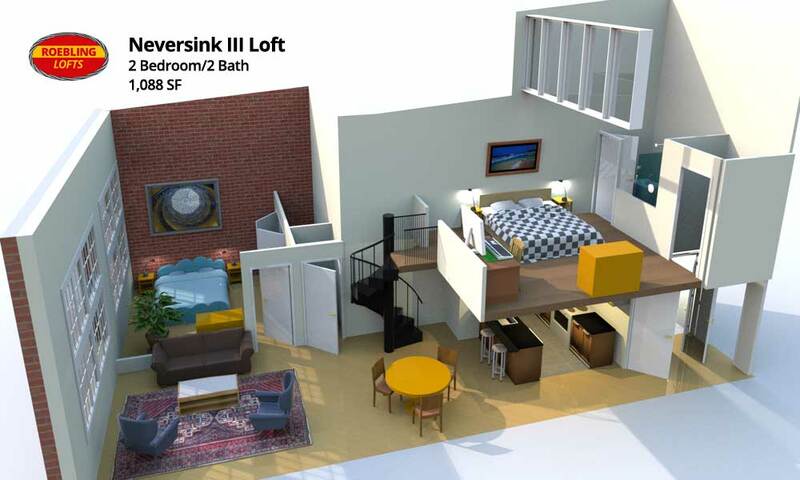 Top floor 2-BR/2-BA loft delivers exposed brick in the downstairs bedroom. Enclosed bedroom with exposed brick and 10'-10" x 11' window. Exposed steel beams and roof trusses. Ceiling slopes from 16' to 24'. Platform bedroom with clerestory for extra light (controlled by electric shades). En-suite bath with stall-shower. Windows deliver superb thermal and audio insulation. Built-in solar window treatments. 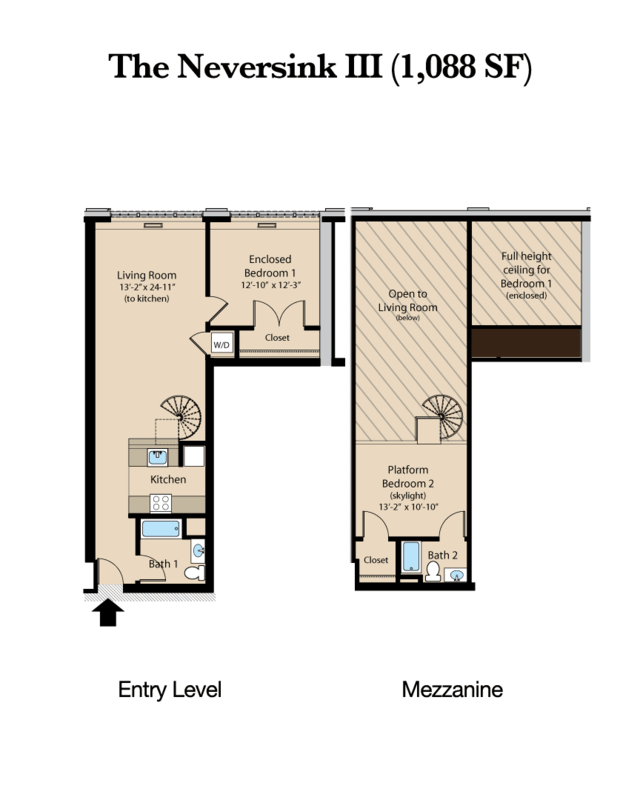 Ceiling fan and 3-zone heating controls ensure energy-efficient comfort in bedrooms and living area. No carpeting anywhere! Strand woven bamboo flooring in living area. Tile in kitchen/bath. Cork on platform.